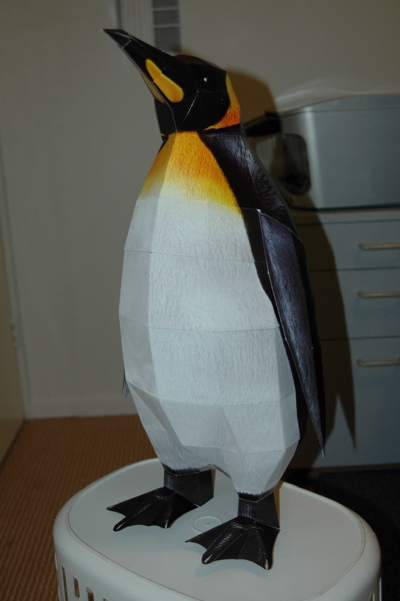 One of my christmas presents this year was this a papercraft penguin. 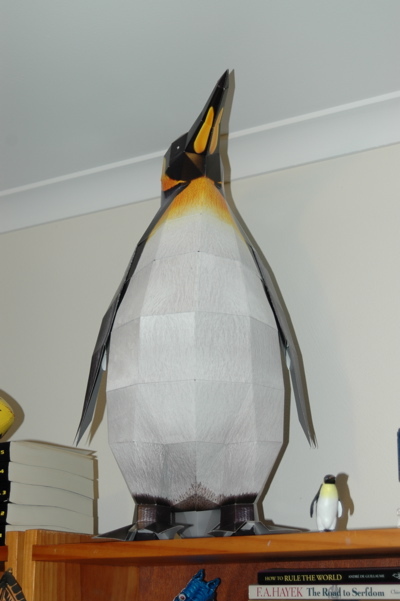 This weekend just past I found the couple of hours to make the thing, and here it is, looming from the bookshelf in my home office. Some more pictures after the cut. 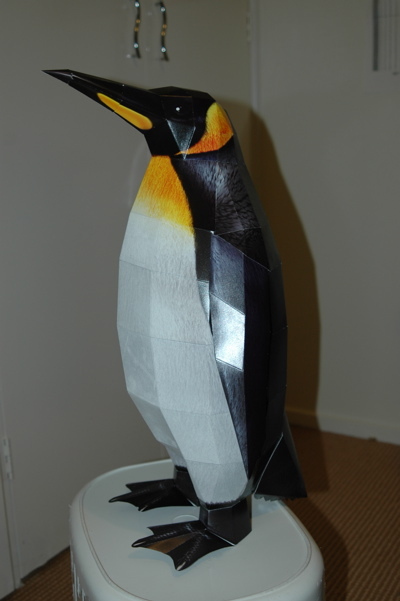 This thing is huge: 53cm tall. 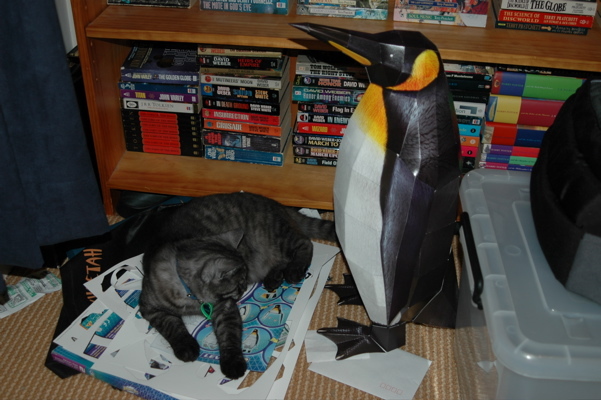 This entry was posted on Wednesday, January 17th, 2007 at 9:14 pm	and is filed under Penguin, Personal, Silly.